Because our price on this item is lower than the manufacturer's suggested retail price, the manufacturer does not allow us to show you our price until you place the item in your shopping cart. We are here to provide you with the lowest possible price, while working with our manufacturers to ensure you will have the best customer experience before and after your purchase. Adding this item won't require you to purchase the product. You can easily remove it from your cart if you decide not to buy it. 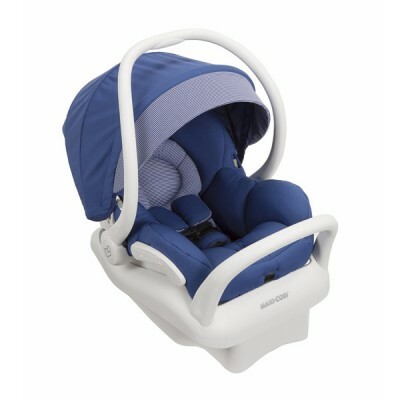 Lightest premium infant car seat available. Air Protect - Revolutionary side impact protection technology. Extended canopy with flip-out visor for maximum UV protection. Reversible Cozi-Dozi infant support for smaller babies. Self-wicking fabric deodorizes and draws liquids away from the skin. Adjustable base with rebound bar included. Height capacity: up to 32"
Recommend this item to a friend? © 2019 The Baby's Den. All Rights Reserved.